Overwhelmed? Don't know where to start? We'll point you in the right direction. Visit our "Where To Start" page. 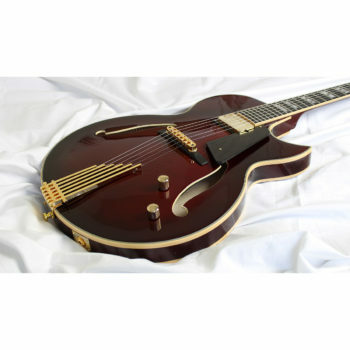 First released in 2009, the Conti archtop jazz guitar was an instant success. Now, 7 years later, we're proud to introduce the second generation of Conti Guitar models. If you're seeking a great looking, great playing archtop with all the features you could never find in a single guitar, then look no further. The Conti Guitar is your answer. Ready to make the transition from rock or blues to jazz? Gotten nowhere with all the modes and scales you learned? Ready to start playing melodic lines that get you excited and motivated? 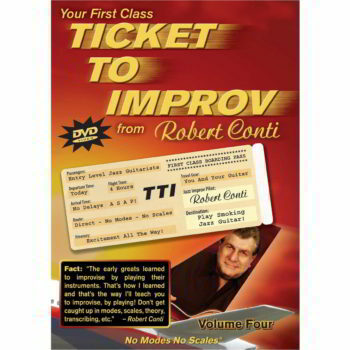 The Ticket To Improv DVD series will have you playing jazz from day one. Don't believe it? Watch some of the videos in the Players Gallery to see numerous examples of short term results. Got plenty of chops and technique but don't know what to play? Looking for hip burning lines to make your own? In each volume, Robert plays an advanced improvised solo and then teaches you that solo measure by measure, note by note. 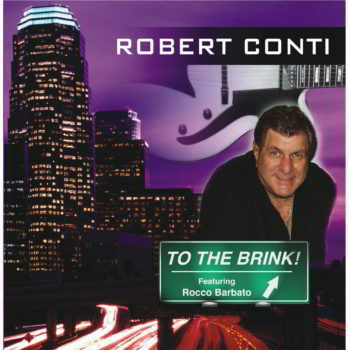 You'll rapidly begin to increase your jazz vocabulary as Conti walks you through the solos. No guesswork here as Conti provides full notation and tab. New to chord melody? 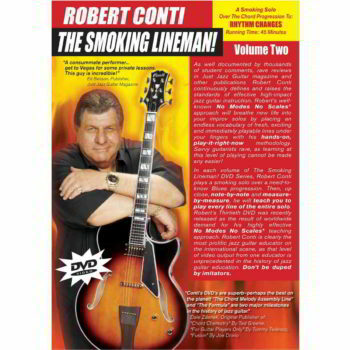 Start playing pro level Robert Conti arrangements today. 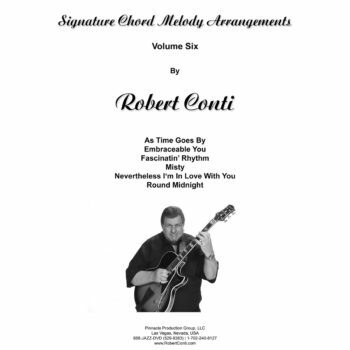 In each volume, Robert teaches his professionally arranged chord melodies to you, chord by chord, on video - it simply can't be made any easier. 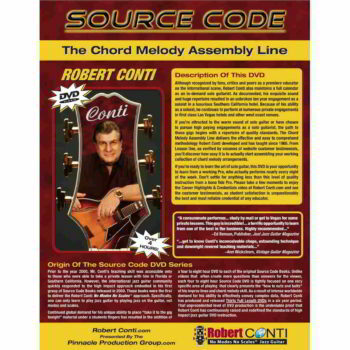 If you simply want a collection of the most in-demand standards, all arranged with Conti's signature chord diagram display (just play the chord grids you're performing chord melody of the highest quality), then the Signature Chord Melody Arrangements are exactly what you're looking for. Numerous guitarists utilize these arrangements in their paid performances. Note: These are instant download, printable PDF files. No audio or video is included. 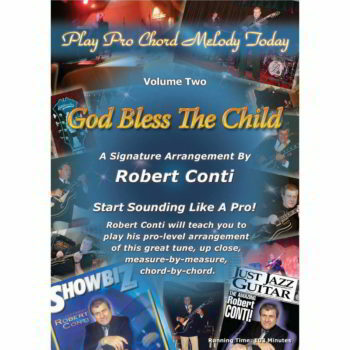 If you want video, we suggest the Play Pro Chord Melody Today DVD series. If it's straight ahead jazz without any fluff that you're craving, the Conti recordings will have you on the edge of your seat. You can't do much playing without a good set of strings. 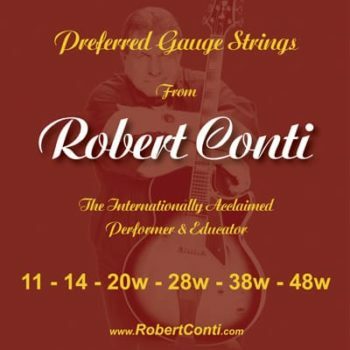 After 50+ years of performance and trial of just about every guitar string in existence, Robert has developed these custom gauge strings and never strays from them, no matter the gig.